I have been blogging my recipes for just over a year now and I continue to be amazed at all the people I have interacted with and learned from. I enjoy being a “small” “New” Blog, but secretly can’t wait to be considered a large blog. Shhhh keep that between us ok! I have to thank “Small things made significant” for the nomination, it is greatly appreciated and I truthfully enjoy it when someone informs me that they like my blog. I mean we all have to cook at some point right? Well most of us anyway! So without further adieu I present the main features of getting this particular award! Place YOUR nominations for the Liebster Award! Nominate five (or more) other bloggers that have less than 200 followers. Make sure to notify them via comment/email, etc. 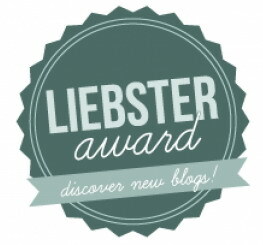 Lastly, display the Liebster award badge on your blog! The Joy of Cheese– http://thejoyofcheese.wordpress.com/ honestly who does not like cheese?? Simply Sophisticated Cooking – http://simplysophisticatedcooking.wordpress.com/ Want to learn a bit about making everyday food look great. YUMMY!! A Healthy Life for Me – http://ahealthylifeforme.com/ great blog on everything from herbs to Blood Martinis ~ You got that right! Dairy free Switzerland – http://dairyfreeswitzerland.wordpress.com/ Great blog by a mother who is raising her food-allergic child in Switzerland! What post have you seen recently that made you follow that particular blog? Why did you start your blog? Has it evolved into more than you expected? If you could stop time, at what point in your life would you have stopped it and why? If you could have your dream job, what would it be? And why aren’t you doing it now? 1. I don’t like sweets too much. I have a salty tooth I guess you could say! I would prefer pretzels and crackers over chocolate, or cheese platters over dessert. 2. I am obsessed with kitchen appliances. I keep buying neat gadgets and helpful items for the kitchen from EBAY, which I just love. 3. I love to travel to new places within our community! There is so much to see in Northern Virginia. I don’t think you could ever see it all. 4. I have finally hit that point in life where I am looking forward to retiring, (I am still young, but we have it all planned out) I embrace getting older and all the adventures my husband and I will have in this new chapter ahead of us. 5. I try to grow an herb garden indoors every year, I kill said herb garden every year. Finally decided to grow one outside where they belong. I love using fresh herbs in my recipes and having them handy will be great! 6. I can’t help but want to please others. It is entrenched into my psyche and there is nothing I can do about it. I would do just about anything for anyone, from little inconsequential gifts to giving anything I can offer when another is ion need! It is just the way I am. 9. I love doing yard work, mowing the yard, trimming and plantings. I really enjoy spending time outside on the weekend, be it in the yard or relaxing enjoying our little part of paradise. 10. I am always surprised when I get a gift out of the blue, like last weekend, I planned a girl’s weekend away. Those sneaky girls all got together in one of the little old town stores and each got me a nice gift to open at dinner. I had no idea! I am truly Blessed! 11. My youngest daughter (14 this year) asked me what I would do if anything happened to one of my children, (I choked up and teared up right away) A piece of me would die if anything ever happened to any of my children! I barely was able to get that out and she was hugging me and telling me that I was the best mom in the world. *Tearing up writing this* I have the best children in the world, who respect and love me! I can’t imagine life without them. All I do, I do for my children or because of my children! 1. If you could eat only one dish for the rest of your life – what would it be? A. French onion soup in a bread bowl. You have the vegetable factor, and the cheese, bread and spice. What more could you want? 2. What’s your favorite work of art? A. My daughter McKenzie made a great piece in the 3rd grade I loved it so much I had it framed and a small plaque put on it with the year and her name. It proudly has hung in our family room for almost 6 years. 3. What’s the electronic device you can’t live without? A. My kitchen aid blender, pasta maker, sausage maker.. A close runner up is the bullet, hand blender, crock pot.. UGH I can’t choose just one!! 4. What’s your favorite cartoon? A. I truly don’t have one I guess when I was a teen I like inspector gadget?? 5. What’s your favorite music video? A. Um I have not watched music videos since MTV first came out, I remember Thriller by Michael Jackson the best!! My BFF had the “TAPE” and we tried to learn all the moves! 6. Are you fashion obsessed or fashion indifferent? And That is the end Folks! I think this award is a great way to get small blogs noticed and should be circulated! thanks again for the nomination! Thanks for mentioning my blog! Very much appreciated.